Whether you are a new prospective patient or a current patient looking to see "what is new", it is our pleasure to welcome you to our practice! As the field of Dermatolgy continues to grow at a rapid pace with new advances and research, making the correct choice for your particular skin type is more important than ever. And while none of us can avoid the aging process, maintaining healthy beautiful skin as a reflection of our general health and wellness is possible. 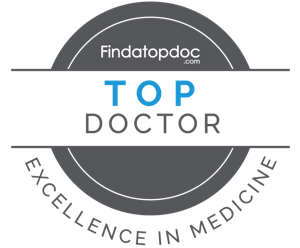 By getting to know your complete medical history, life style factors, stressors and skin care goals, I can best advise you on medical, surgical or cosmetic skin care needs. My focus is on building your confidence through a comprehensive approach to improved general wellness and skin health. I am here to help you find the best treatment program for your particular problem by using state of the art technologies to safely enhance your natural beauty without ever looking "overdone." A few of my health and skin care fundamentals are: dedicate yourself to daily sun protection, never smoke, eat a nutritious balanced diet low in refined sugars, processed foods and artificial chemicals, drink plenty of water, make time in your life for stress reduction, laughter, and quality time spent with friends and family, try to get more rest and frequent exercise.